Ship steering and stabilizing systems require high reliability and durability in a compact space envelope. Diakont electric servo actuators are based on patented roller-screw technology which is directly coupled to the rudder tube. 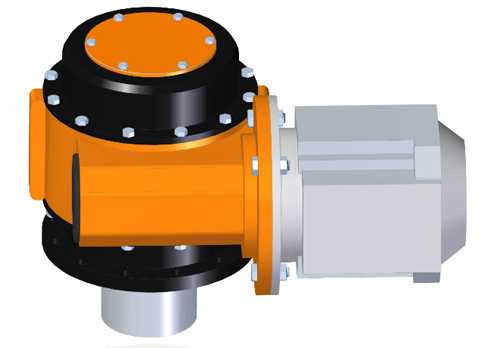 This configuration increases reliability, reduces noise levels and minimizes overall dimensions of the systems. 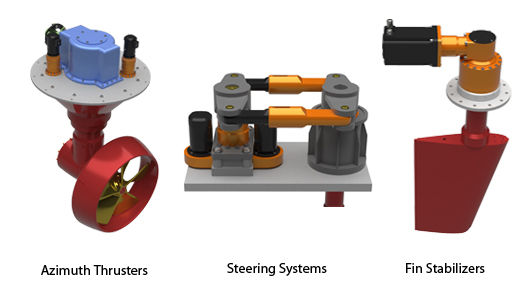 Diakont supplies electric actuators for marine applications in a range of sizes to accommodate various ship sizes. Diakont’s standard actuators deliver output torque ranging from 1,000 to 150,000 Nm, but customized solutions are available for specific application requirements.